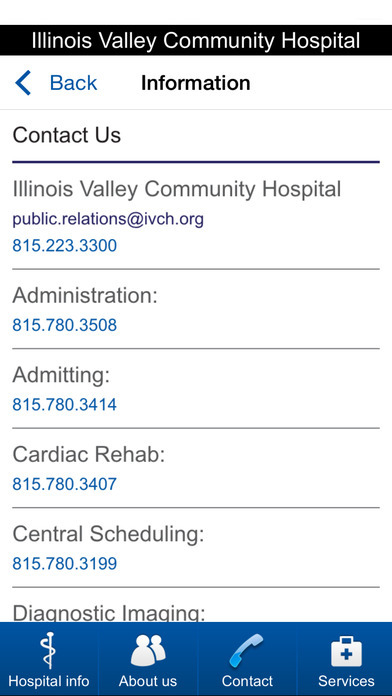 An official app of Illinois Valley Community Hospital. 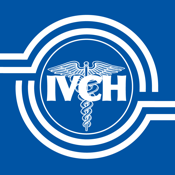 You can use the app to find health care providers, read health news, search for health information, learn more about the services we offer, and access maps and contact information. Access great medical care 7 days a week at our FastCare walk-in clinic at the Peru Wal Mart and at our CareToday walk-in clinic next to the Illinois Valley YMCA. 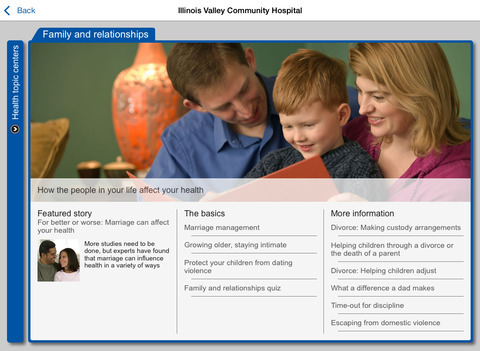 Note: The information in this app comes from a wide range of medical experts. It is not intended to replace a visit with your health care provider. If you have any concerns or questions about specific content that may affect your health, please contact your health care provider.